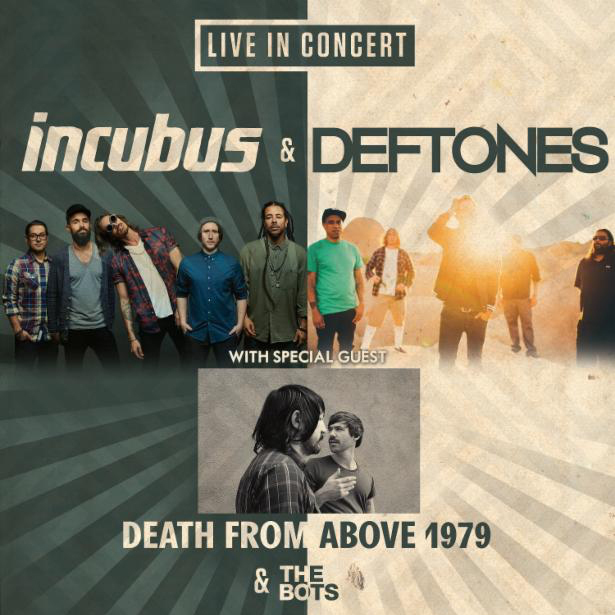 This summer there will be a once-in-a-lifetime co-headlining tour with these two bands who have been around for over two decades–Incubus opened for Deftones’ tour back in 2000, a very long time ago. Deftones and Incubus may be a distant nostalgia for some, but many would be excited to see them live anyways. Especially together! Even though I mainly jammed Incubus throughout my high school years, I am not hesitant to see them perform live. Their shows are always full of energy and the lead singer, Brandon Boyd, hypnotizes you with his angelic voice paired with his DJ skills. Deftones, on the other hand, have been one of my absolute favorite bands due to lead singer Chino Moreno’s sensual voice balanced with heavy guitar riffs and as a fan I won’t be missing this tour. Both have two completely different sounds but have been a huge part of music since the early 90’s. Incubus’ inspirational summer ballads and Deftones’ dark seductive croons will make you feel alive! Meanwhile, check out their amazing music!